ST. LOUIS, March 29, 2018 /PRNewswire/ — In celebration of the second annual “Beverly Hills Dog Show Presented by Purina,” a show that will combine the stars of Hollywood with the stars of the dog world, Purina invites pet lovers across the globe to share the positive impact dogs make in our lives through its “Every Dog is a Star” program. Dog owners are encouraged to log onto Facebook, Twitter or Instagram to post photos or videos showing how their dog is the true star of the family. For every original post submitted between March 26-April 8, using the hashtag #BHDogShow and tagging @Purina, Purina will donate five dollars (up to $25,000) to Mutt-i-grees, a program run by North Shore Animal League America. Mutt-i-grees helps show children the positive impact pets can have on their lives by teaching them important life skills such as empathy, friendship and kindness through interaction with shelter dogs. Purina and the Mutt-i-grees program share the belief that pets and people are better together and are committed to providing opportunities where these relationships can grow. The funds will be used to help expand the program to additional schools around the country. The Mutt-i-grees curriculum was developed in 2008 and helps connect children and shelter dogs through a series of easily implemented lessons. The students learn critical skills that will help them in their interactions with people (and animals) in school, at home, and later on in the workplace. The “Beverly Hills Dog Show Presented by Purina” which will air on April 1, Easter Sunday, on USANetwork at 6/5 p.m. ET/CT will bring together celebrities such as “American Ninja Warrior” co-host Akbar Gbajabiamila, Dr. Evan Antin (People magazine’s Pet Vet), Stella Maeve (THE MAGICIANS), Marcc Rose and Wavyy Jonez (UNSOLVED: THE MURDERS OF TUPAC AND THE NOTORIOUS B.I.G.) and more to cheer on their favorite breeds ringside as the dogs strut their stuff for Best In Show honors. This year there will be more than 1,500 dogs representing more than 200 eligible breeds competing for the top prize. 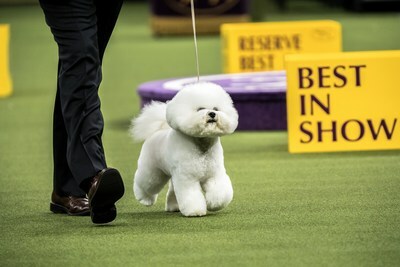 The show will be co-hosted by legendary dog show analyst David Frei and beloved TV personality John O’Hurley, along with NBC’s Mary Carillo and Maria Menounos as official correspondents at the show. I just want to mention I am new to weblog and honestly savored you’re blog site. More than likely I’m planning to bookmark your website . You absolutely have wonderful posts. Thanks a bunch for revealing your web site. I would truly love to make a blog site however. I’m uncertain what kind of blogs obtain the most website traffic? What kind of blogs do you surf? I mainly browse picture blog sites and fashion blog sites. Simply obtaining a poll below many thanks!. I have three blog sites on tumblr under the very same e-mail address. Exactly how do I delete one of those blogs without deleting the other 2?. Ideally, I would certainly such as someone to address whom has actually experienced this problem prior to and resolved it without removing their other blog sites. Many thanks!. just how come some blogs in a blogroll do not have their most recent article detailed and others do? How to alter that?